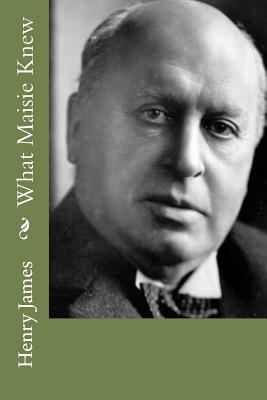 What Maisie Knew by Henry James The litigation seemed interminable and had in fact been complicated; but by the decision on the appeal the judgement of the divorce-court was confirmed as to the assignment of the child. The father, who, though bespattered from head to foot, had made good his case, was, in pursuance of this triumph, appointed to keep her: it was not so much that the mother's character had been more absolutely damaged as that the brilliancy of a lady's complexion (and this lady's, in court, was immensely remarked) might be more regarded as showing the spots. Attached, however, to the second pronouncement was a condition that detracted, for Beale Farange, from its sweetness-an order that he should refund to his late wife the twenty-six hundred pounds put down by her, as it was called, some three years before, in the interest of the child's maintenance and precisely on a proved understanding that he would take no proceedings: a sum of which he had had the administration and of which he could render not the least account. The obligation thus attributed to her adversary was no small balm to Ida's resentment; it drew a part of the sting from her defeat and compelled Mr. Farange perceptibly to lower his crest. He was unable to produce the money or to raise it in any way; so that after a squabble scarcely less public and scarcely more decent than the original shock of battle his only issue from his predicament was a compromise proposed by his legal advisers and finally accepted by hers. We are delighted to publish this classic book as part of our extensive Classic Library collection. Many of the books in our collection have been out of print for decades, and therefore have not been accessible to the general public. The aim of our publishing program is to facilitate rapid access to this vast reservoir of literature, and our view is that this is a significant literary work, which deserves to be brought back into print after many decades. The contents of the vast majority of titles in the Classic Library have been scanned from the original works. To ensure a high quality product, each title has been meticulously hand curated by our staff. Our philosophy has been guided by a desire to provide the reader with a book that is as close as possible to ownership of the original work. We hope that you will enjoy this wonderful classic work, and that for you it becomes an enriching experience.